We’re getting more good news this week for the real estate market. Current residential shadow inventory has dropped 10 percent from a year ago. "The shadow inventory that previously darkened industry outlook is beginning to fade." CoreLogic® reported on Tuesday that the current residential shadow inventory as of July 2012 fell to 2.3 million units, representing a supply of six months. This is a 10.2 percent drop from July 2011, when shadow inventory stood at 2.6 million units, which is approximately the same level the country was experiencing in March 2009. The full Q2 2012 Shadow Inventory Report with additional charts and roll rate information is available here. 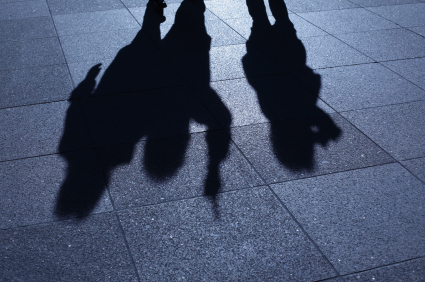 Is the Industry Seeing Sunlight Break Through the Shadows? Foreclosure activity is down 16 percent from a year ago. On Thursday, RealtyTrac® released its U.S. Foreclosure Market Report™ for September and the third quarter of 2012, which shows foreclosure filings — default notices, scheduled auctions and bank repossessions — were reported on 180,427 U.S. properties in September, a decrease of 7 percent from the previous month and down 16 percent from September 2011. September’s total was the lowest U.S. total since July 2007.